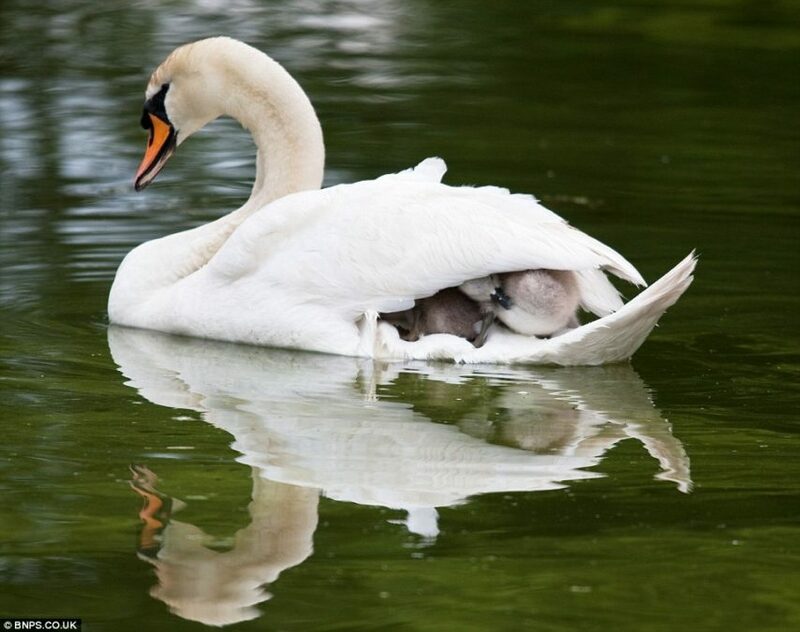 Richard Meston was at Bicton Park Botanical Gardens near Sidmouth, Devon in England, when he came across a mother swan and her babies. The cygnets were splashing in the water around their mom. When one started to get tired, he made his way up onto his mom’s back. The mom didn’t seem to mind, and even gave them a nudge to help him up. Soon after, the other babies followed suit. 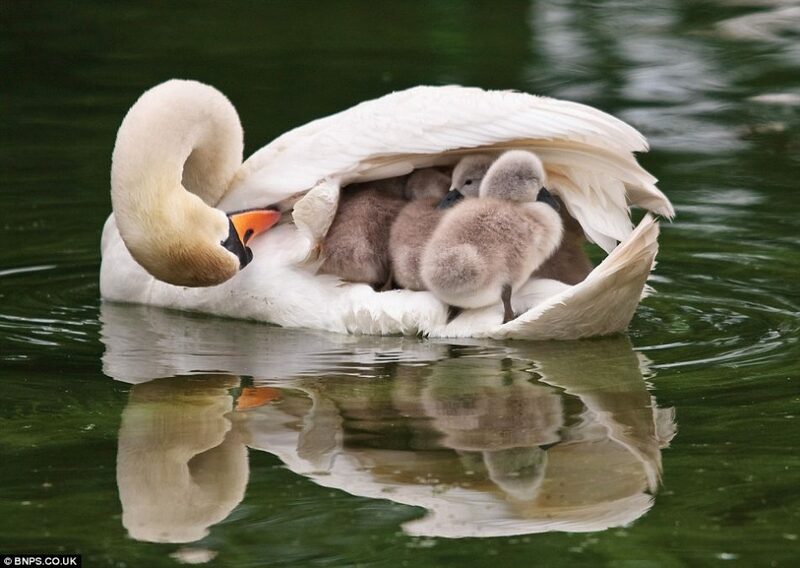 One by one, they each waddled up their mom’s back and sought shelter under her wing. Once they were all settled in, the mom put down both of her wing’s on top of them as if she were protecting them from falling. She kept looking back at them to make sure they were all still there. Then she swam across the pond with them.